Our history starts in 1794, when we first started making vinegar. Today, we make six million litres of Sarson’s vinegar every year. Sarson’s Vinegar was founded by Thomas Sarson in Craven Street, London. Henry James Sarson takes over from his father. 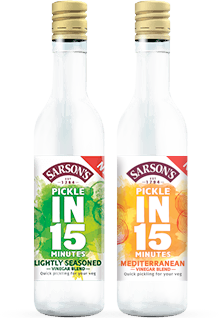 Sarson’s Virgin Vinegar is formally registered, inspired by the parable of the wise and foolish virgins! More than a million gallons a year were brewed, increasing to over five million gallons a year by 1950. The 20th century was the golden age of vinegar. 65 licensed breweries existed in the UK. However, by 1940, only Sarson’s remained. 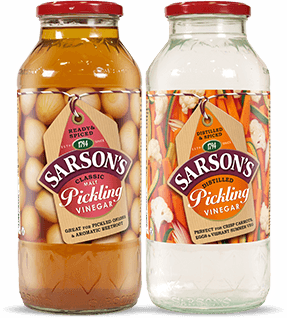 In the late 1950s, Sarson’s Virgin Vinegar rebranded to Sarson’s Vinegar. British Vinegars Ltd buys the current Middleton site from Co-Op. Nestle takes over British Vinegar Ltd. The tear drop bottle project started in 1989, This unique glass table bottle was introduced and the brand’s first TV adverts were aired. The 400ml malt glass table bottle was introduced in 1993. 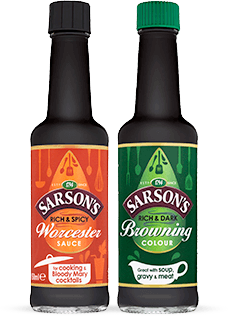 Premier Foods buys the Sarson’s brand. Mizkan buys the brand from Premier Foods. It’s now worth over £10 million and making six million litres of vinegar!